Peace of mind is a number one concern when purchasing any type of vehicle, whether that means new, used or pre-owned. Reliability, roadworthiness and safety are the things you expect, and need, in your vehicle. With Certified Pre-Owned Kia™ (CPO) vehicles in Chatham, these are the things that you get. From the inspection through to the warranty, all the little things are taken care of to ensure that you get a vehicle in great condition. Certified Pre-Owned Kia™ (CPO) vehicles offer the highest safety and reliability standards from Kia Canada. We don’t choose vehicles for CPO that don’t meet our high standards. Every Certified Pre-Owned Kia™ (CPO) has undergone exhaustive testing and servicing – including a thorough 135-Point Quality Assurance Inspection – to provide a confident, worry free choice for you. One of the most important things about the Certified Pre-Owned Kia™ program is that it is fully and completely backed by Kia Canada. How’s that for peace of mind! Our Certified Pre-Owned inspection covers the entire vehicle including chassis, powertrain and systems. Everything from the inside out is inspected such as brakes, trim, inspection, safety related systems, doors, electrical and the engine. Everything in your certified pre-owned vehicle is ensured to be of the highest quality or it won’t get Kia’s Certified Pre-Owned program approval. So if you’re looking for a certified pre-owned Kia Sorento, Forte or Sportage, you can count on it to be thoroughly inspected. The Kia Mechanical Breakdown Protection (MBP) coverage is an optional upgrade to your Kia CPO coverage. It will give you 5 star protection for your CPO vehicle. Often there are financing specials for Certified Pre-Owned Kia™ vehicles. You can get low financing rates and additional benefits. Talk to one of the financing specialists at Lally Kia for certified pre-owned financing in Chatham and the surrounding areas of Wallaceburg, Pain Court, Tilbury, Blenheim, Ridgetown, Wheatley and Dresden areas. When it comes to servicing your Certified Pre Owned vehicle, Kia’s Certified Pre-Owned Vehicle Program offers you 3 free oil changes and filter replacements. 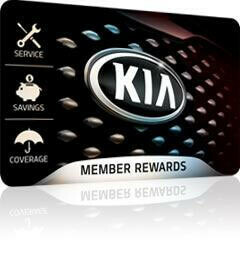 Simply present your Kia Privilege Program card to the Kia dealer. Kia Canada’s Certified Pre-Owned Vehicle Program encourages recent graduates to purchase a Kia vehicle with a $ 500 rebate. For more information on eligibility criteria for the Graduate Rebate Program, please contact your local Kia Dealer.